On May 28th Uranus will move into the fast track lane of Aries, followed quickly by Jupiter on June 6th. Arian energy seeks to express individuality, inspiration and instant results. Put Uranus with this energetic and you have a potent mix of drive, determination and potential disfunction. Since 1996 Uranus has been passing through the altruistic energy of Aquarius and Pisces. When Uranus moved into Pisces in March 2003 we had the two outer planetary bodies of Uranus and Neptune in mutual reception. These last seven years have given us all the opportunity to grow beyond a selfish. 'I win, you lose' mentality, to a more mature awareness that we all need to work together towards a collective common goal. We have been passing through a 'seeding' time, a time to look at the collective potential of how we might, from one level work together to bring about a freer, fairer Society. Uranus in Pisces, and Neptune in Aquarius, from another level lifts the lid off what is deemed to be possible. These energies individually and together ask for a fresh inspirational look at our potential on Planet Earth. They link us into worlds beyond the solid third dimensional structures of Saturnian parameters. Whether we have been aware of it or not, our subtle energetic systems have been bathed in a vibrational energetic that refines, expands and uplifts our individual levels of consciousness. From a metaphysical level, Uranus and Neptune have been gently working on the subtle system of each of us, through the pineal gland, expanding our boundaries and vision - switching on lights in the deepest recesses of our brains. It has been a potent time, but how is the seeding going to unfold through the next seven years as Uranus passes through Aries? 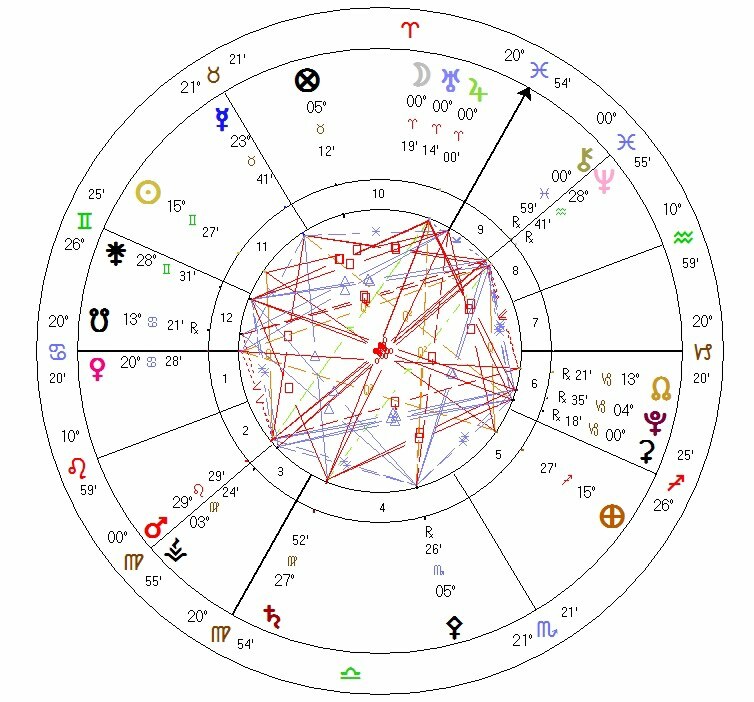 Jupiter, as we know, expands and increases any planetary energy it contacts and so the first year of Uranus in Aries, with Jupiter in close proximity, is likely to be full of the unexpected as the Uranian quality of spontaneity, change and sudden disruption is intensified. In the same manner there can be breakdowns or breakthroughs. For we are all being asked to bring a fresh approach to our lives, to expect the unexpected and to live in the moment - to allow for new ideas, new insights to unfold whilst discerning how we might integrate this impulsive energy into our lives without throwing out the baby with the bathwater. 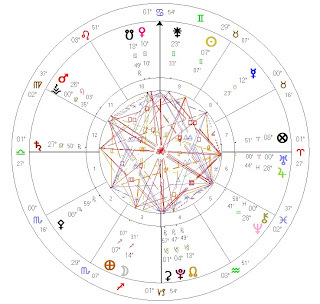 For at the time of the Uranian ingress into Aries, Saturn is in opposition and we are being guided to find a pathway which finds a balance between rugged individualism and consideration/service to others. 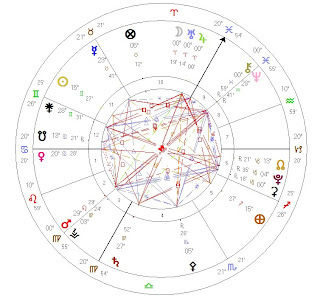 This potential for rugged individualism/fanaticism is underpinned with the Pluto square to Uranus - so Saturn and our individual humaneness and balance are required to bring the highest expression of this highly charged energetic. Each of us is a unique expression of Source and as such each of us is truly an individual note within the musical spheres of the Cosmos. What a gift and yet it is precisely this diversity which creates such division on this planet. Rather than seeing the gift and preciousness of this diversity, there is still a deeply embedded fear of that which is 'different'. Still a desire to project out fear onto another, rather than taking the responsibility to be a clear conduit without any desire to point a finger, or cast judgment. This suspicion or fear of the unknown creates a shadow, an climatge ofdistrust, which prevents us from truly 'seeing' the other. In the UK elections it is fitting that a coalition government is to be the basis of power over the coming months. Here different beliefs, policies and colours are being fused for the 'good of the Country' - party politics are being suspended, realigned to creater a greater whole - a more beneficial outcome. This in many ways is the key for us all and the underlying message of this chart - how can I bring my individual talents, gifts, insights and energy and offer them for the benefit of the whole? The Moon at the time of the Uranian ingress into Aries is at 14 Sagittarius - the degree of the Great Attractor - the point in space which is bringing the Andromedan Galaxy ever closer to the Milky Way Galaxy. 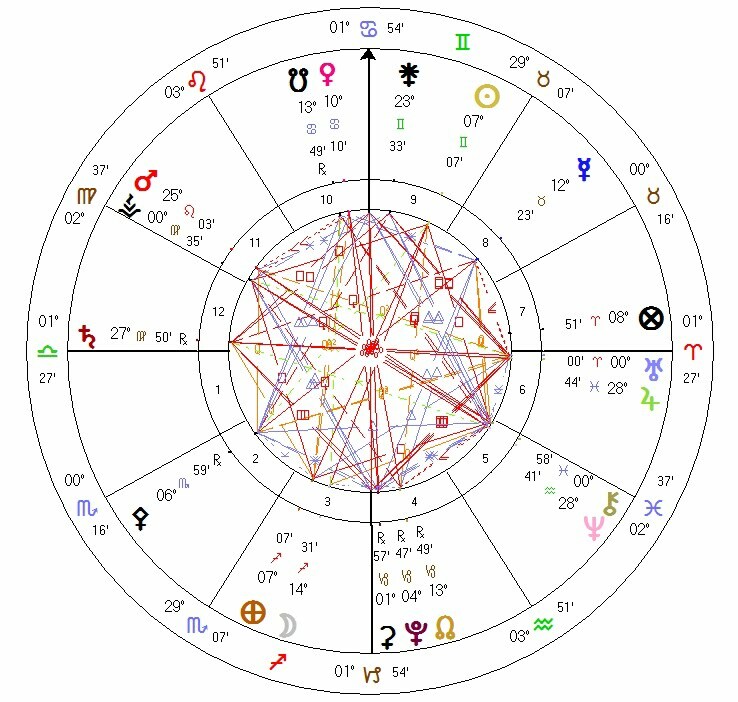 As the Moon links to the Group Unconsciousness, then it would seem that there is a greater plan being unfolded through this chart - there is a downpouring of energy that requires a maturity of Spirit and a degree of courage, if we are to utilise this potential and step into the Light that we are. So let's take hear, a steady breath and a leap of faith and let's see what we can each create that is full of inspiration, joy, value and purpose during these upcoming seven years - for it is time to spread our wings.